Abstract: Eureka is located on Ellesmere Island in Nunavut, the northernmost of Canada's three territories (Nunavut, Northwest Territories, and Yukon). The Eureka weather station was established in 1947 and has been manned continously since then. Environment Canada established the Arctic Stratospheric Ozone Observatory (AStrO) in 1992 and Eureka has had a permanent scientific component since AStrO began operation. In 2005 the Canadian Network for the Detection of Atmospheric Change (CANDAC) began operating the Polar Environment Atmospheric Research Laboratory (PEARL) as a continuously staffed facility and did so until December of 2011, at which time it reverted to the campaign style operation of the AStrO era. Weather-station and CANDAC staff inhabit Eureka year round with the population increasing during the summer and dwindling to 10 or less during the winters. 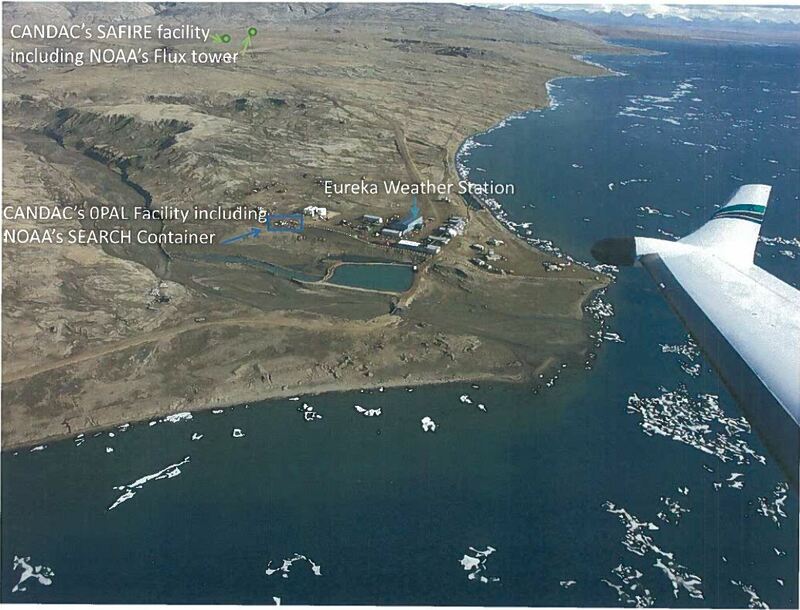 The only other permanent Arctic research site farther north is Alert. At 80N, Eureka is well north of the treeline where the main biome is tundra. Arctic mammals such as the polar bear, arctic fox, caribou, muskox, narwhale, and walrus frequent Ellesmere Island and its surrounding waters. Geological features in the area include glaciers, low mountains, and the ocean. The Quttinirpaaq National Park is located to the north of Eureka and encompasses 1/5 of the island's surface area.